The future of work is a key discussion point at the World Economic Forum's Annual Meeting 2017. For more, watch the Jobs and the Fourth Industrial Revolution session here. 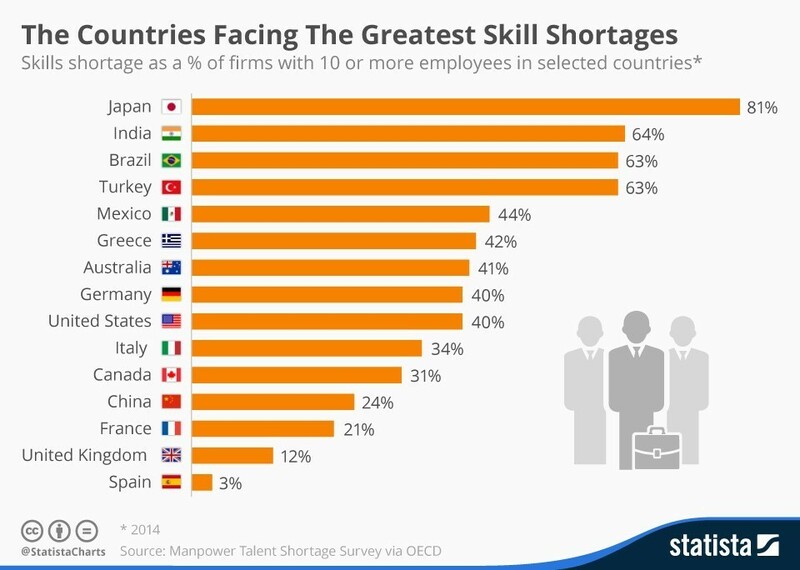 The scale of the problem varies from country to country, but is particularly bad in Japan, where 81% of firms (with 10 or more employees) have difficulty finding qualified employees, according to recent data from the OECD. With the arrival of the Fourth Industrial Revolution, or fast-paced digital progress, technology is transforming the way we work – and workers’ skills will need to keep pace with these changes. 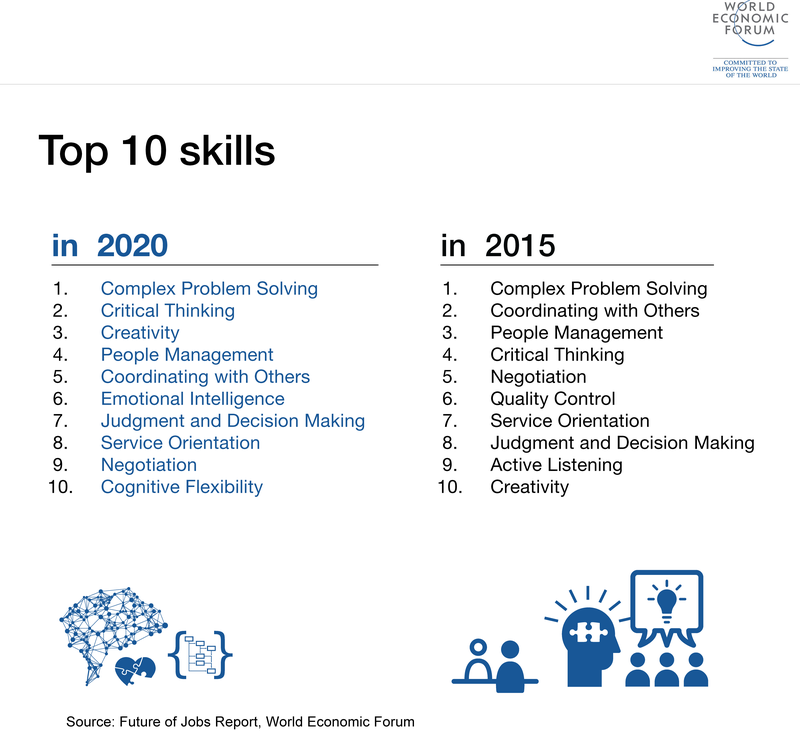 A Forum report, The Future of Jobs, reveals that by 2020 more than one-third of skills that are considered important in today’s workforce will have changed. What life skills do employers want young workers to have?